USB flash drive is highly portable and has large capacity, which makes it become one of the most desired data storage devices. It is widely used to store data, transfer files between computers via USB port. USB flash drive provides so many conveniences and yet it cannot escape the demerit that it can be easily broken. 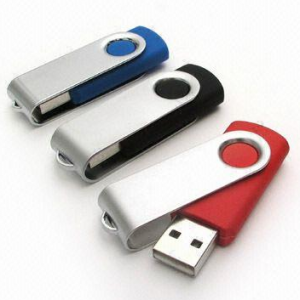 Since USB flash drive is so portable, it may fall onto floor at any time, which may cause vital physical damage. Besides, the frequent exchanging data among different computer may lead to virus infection. What’s more, improper operation can result in the inaccessibility problem. All these problems can cause data loss aside from accidental deletion or formatting. Unfortunately, most of users do not have backup files of lost files. In such a situation, users need the help of advanced and easy-to-use data recovery program to retrieve lost files and folders from USB flash drive. Eassos Recovery Free is powerful data recovery freeware for USB flash drive recovery and it allows users to recover lost files from various types of USB drive with effortless ease. Using data recovery software is the easiest and most affordable solution available. Such tool is able to undelete files, recover formatted files, and retrieve files from inaccessible USB flash drives. After files are recovered, users can continue using the drive as well as the program. By the way, Eassos Recovery Free is extremely simple to use, and no difficulty will block the data recovery process. Moreover, this free program also supports memory card data recovery, external hard drive data recovery, laptop data recovery, computer data recovery, SSD data recovery, etc. This entry was posted in Data Recovery and tagged data recovery freeware, USB flash drive data recovery freeware, USB flash drive recovery by EASSOS. Bookmark the permalink.